I have now received my feedback from my tutor Jesse on my second assignment. As per last time it was very constructive. We held a telephone conference first of all which allowed interaction and then Jesse documented what was discussed. 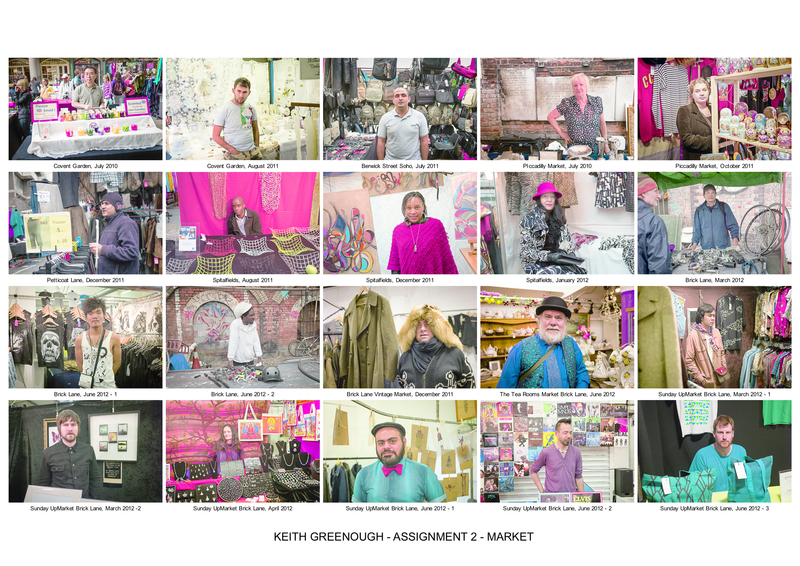 The assignment in question was my MARKET series which are a set of portraits of market traders (see below). I had positioned the work in my artists statement as a brief typological survey. 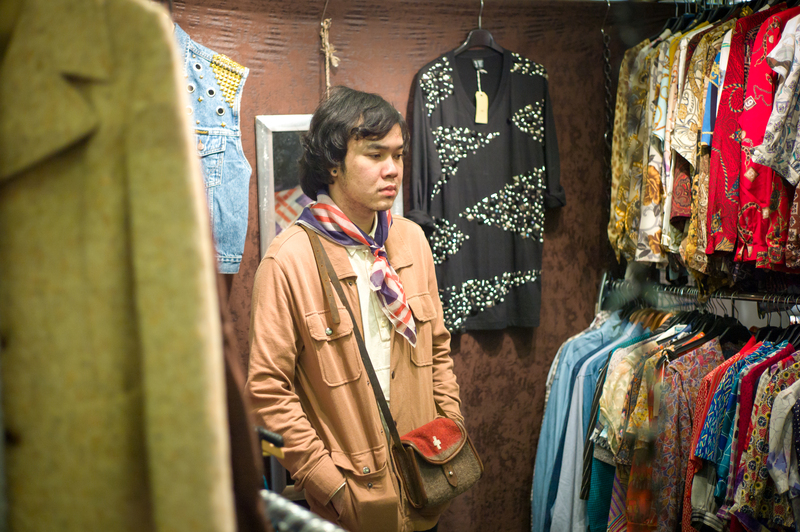 Jesse questioned whether the work represented a true typology viewing it more as street documentary. The key issue being the relatively spontaneous nature of the work. I have to agree with this if one compares my work to that of say the Bechers, whose formal approach was rigorous in the extreme. However, I was using August Sander as my principle reference point and Sander’s work did not really conform to the same kind of rigorous formal approach. Sander used a variety of formal approaches. Some are in the studio, some in the street, some in the country. 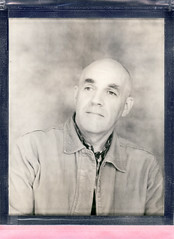 Studio photographs with blank backgrounds are mingled with environmental portraits. Full body and half body crops are used. Some subjects engage the viewer, others look away. However, there is also much in common. They are all in black and white (which was inevitably the case at the time they were made) . 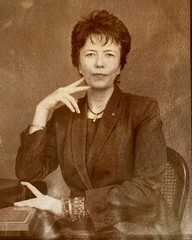 They are all obviously posed portraits – there is as certain deliberateness and stiffness in the subjects’ body language. It also seems to be the case that Sander selected the nature of the setting for the sitter in accordance with his classification of his/her social class – the chef in the kitchen, the architect against a studio background, the notary against and office and the farmers against the countryside. ensuring that the photographs all look like the subject has agreed to pose and by avoiding making the image look as if it is a street snapshot. One of my photographs shown below illustrates this last point very well. The fact that the subject is looking away and appears lost in thought and the out of focus area to the left all make this appear like a snapshot rather than a considered portrait presented as part of a typology. (In fact the subject had agreed to pose, the busy area restricted my viewpoint, I shot wide open (as it was dark) and he looked away…..but should I have included it…with hindsight probably not). Jesse also suggested that it might be helpful to look again at my artist’s statement to ensure that this accurately places the work in context. So if it is really street documentary then that’s how I should position it. He also suggested that I should record my reviews of particularly photographers as I go along and not wait until the written critical review and that I should include more information including photographs of my influences in my artists statements. All of this I have taken on board and will build into my thinking moving forward. We briefly discussed my idea that the theme of concentration/focus of the subject could be a common element in more than one of my assignments – museum visitors absorbed in artefacts, artists concentrating on their work, ironmen athletes consumed with their pain and elation at the end of a race etc etc. He felt that this “is a really interesting theme which might be binding your various ideas together, which is great – this ties together you approach and varied subjects”. I have decided to continue with the MARKET work to try to sharpen it up by taking up the learning points above. I am altogether sure how this will pan out but there is clearly scope to make the work hang together much better. I also need to look again at how I present the work in my artists statement. I may be being overly self critical here but I think I need to be so. No not the strongest piece of work but it’s super consistent. There’s a vision there that’s redolent of your other work.